Supply and installation of a smoke extract system from the ground floor retail area to the roof mounted smoke extract fans. To include an auto-changeover control panel with fire alarm interface. Supply and installation of new natural gas mains from the meters to a location within each unit and also to the relocated Vue plant on the new roof. Co-ordination with Bord Gais for the new gas connections. Supply and installation of water mains from a location above the ground in the water meter room to a location within each unit and also to the relocated Vue plant on the new roof. Supply and installation of a cast iron above ground drainage system within each unit as indicated on the drawings. Supply and installation of BMS interfaces between the new landlord plant and the existing BMS system. Supply and installation of a new over door air curtain heater in the re-designed entrance lobby and associated external air source heat pump. Supply and installation of new cassette type heaters and associated external air source heat pumps. 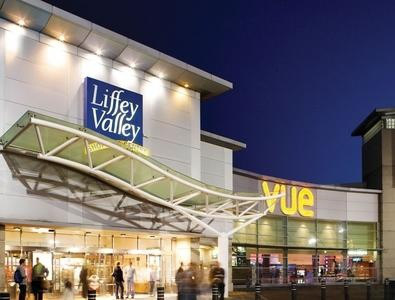 Extensive Development in Liffey Valley shopping centre, working with client John Sisk & Sons & Design Team MMA, for the supply & installation of the mechanical fit out to the new Western End extension, on site coordination with Bord Gais.